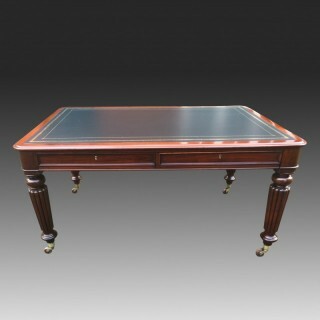 An elegantly proportioned antique partners library table or desk dating from the mid 19th century. 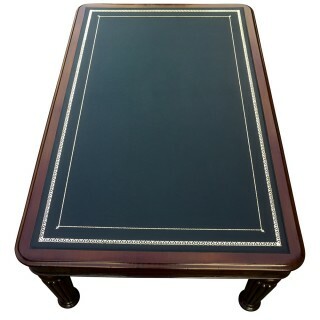 This handsome desk has benefitted from traditional restoration which includes a new black hide writing leather with blind and gilt tooling and french polishing. 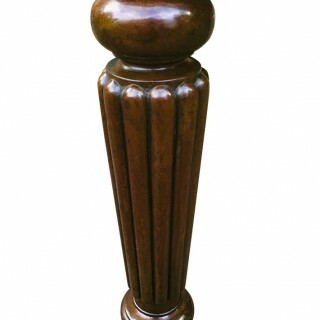 The writing hide surface is surrounded by a band of mahogany and the top has a ‘thumb moulded’ edge. 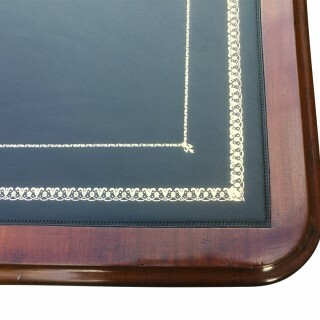 The frieze is fitted with two drawers to front and back trimmed with ogee moulded edges. 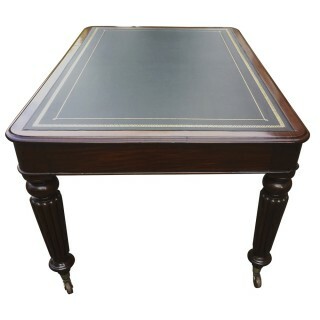 The drawers have mahogany linings, hand cut dovetail joints and brass locks. There are no handles as the drawers have recessed groves beneath the drawer fronts to pull them open. 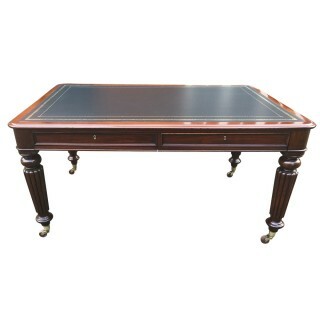 The desk stands on four well-turned tapering and reeded legs with their original brass castors. 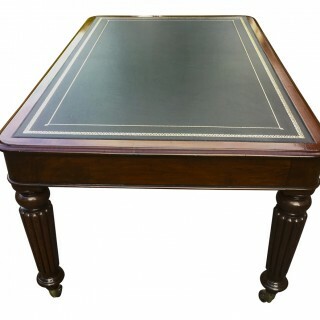 This well-proportioned antique partners library table or desk is in excellent antique condition and ready to grace your home or office. 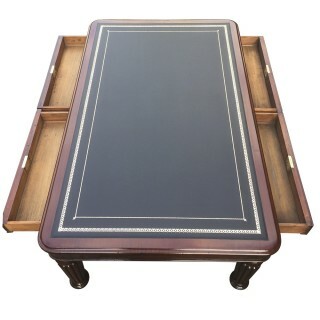 This antique library table is in excellent condition; it has benefitted from traditional restoration which includes a new black hide writing leather with blind and gilt tooling and french polishing.